For the past few months, Swiss Watch Industry hosted many interested topics. The major brands seem confused about the fast growing trend for “Smart Watches”. While some believe those smart watches will generate it's own league and keep moving in it, some strongly think those hi-tech electronic devices will be challenging for the Swiss mechanical time pieces' market. Some well known brands are on the front foot with their smart watch versions of their current product lines. H. Moser & Cie. - a relatively small brand - made a bold move and launched it's latest product “Swiss Alp” combining smart watch concept with traditional Swiss Watchmaking. 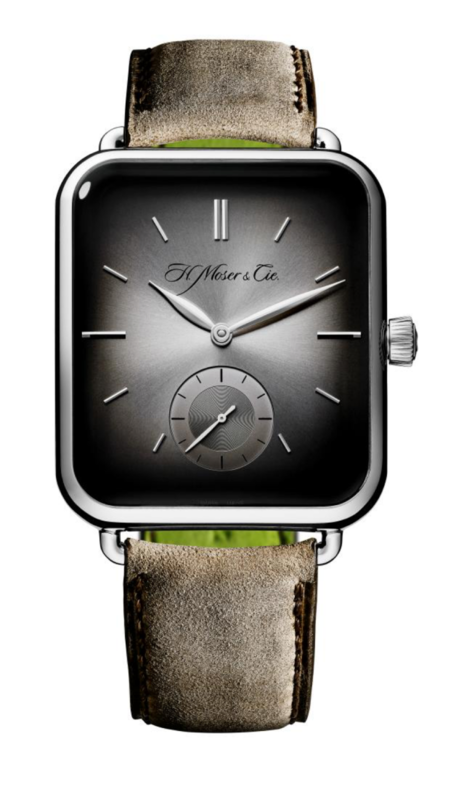 At the first glance, you might think that you are looking at an Apple Watch with a H. Moser & Cie interface as the 38,2mm x 44mm x 10,3mm measuring case's design looks widely the same with Apple Watch. 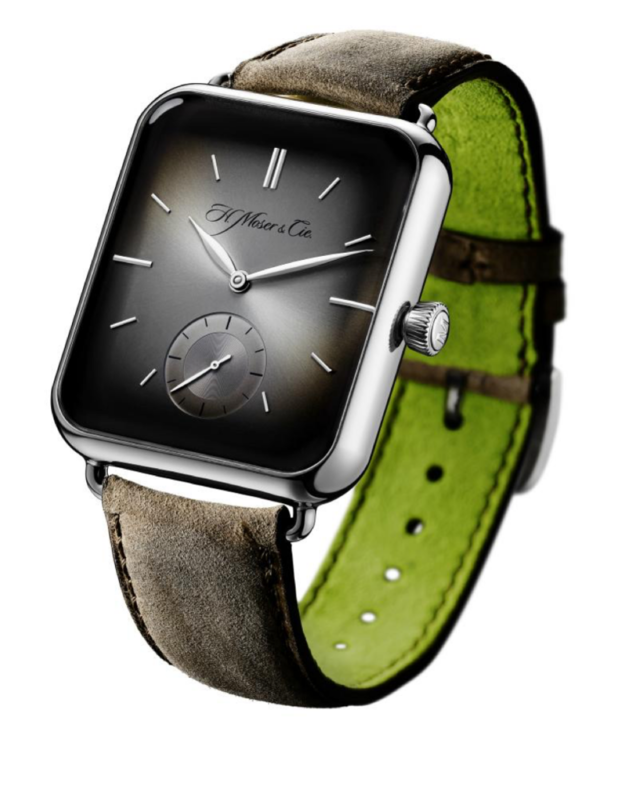 Swiss Alp differentiates from the Apple Watch with the lack of easy strap change system and the winding crown design. When we look at the back of the watch, we are welcomed with a totally different design rather than seeing 4 pieces of sensors. H. Moser & Cie. Swiss Alp features the brand's in-house manual winding caliber HMC 324. The movement beats at 18000vph and offers 4 days power reserve. The fully hand assembled and finished HMC 324 also features a power reserve indicator. 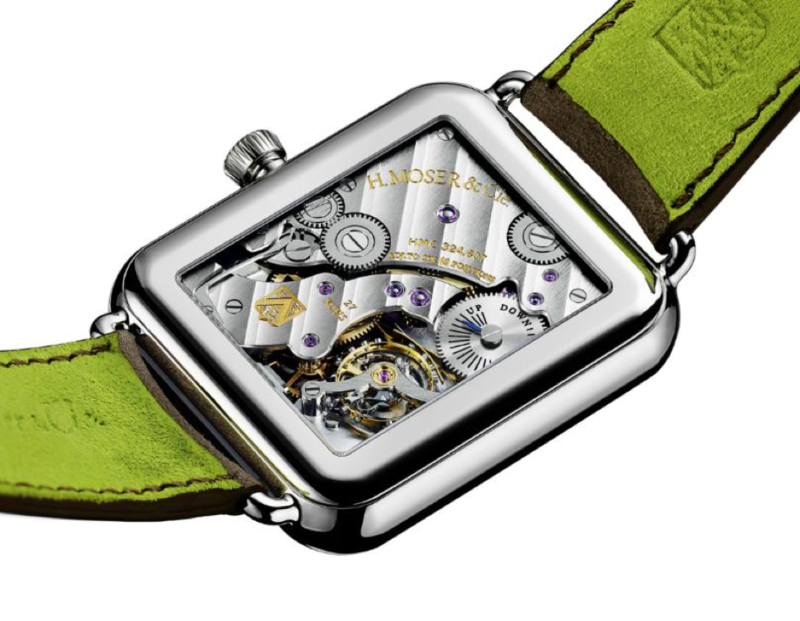 Undoubtedly, H. Moser & Cie. Swiss Alp seems to have a highly inspired ( stolen maybe ) case design after the Apple Watch however, it's a stunning sample of the smart watch concept featuring a fully mechanical movement instead of an electronic circuit making it a desirable object timelessly for the loyal watch enthusiast. Smart Watch concept is surely a challenging market for the Swiss manufacturers and we will see together how this new era will change the game..